What is a PTZ camera? Do you need a new system installed? If you need a new CCTV system installed, then we are the people for you. We have been installing CCTV in and around the Accrington area for the past 27 years. 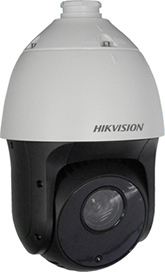 All of the cameras that we supply and fit are made by HIKVISION. 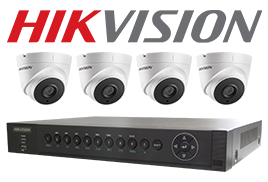 The reason we use solely HIKVISION for our CCTV installs is that we have tried all the rest, and keep coming back to what we know to be quality, good value for money and most importantly reliability. We install two great types of CCTV, IP or HD-AHD In a brief summary, the two different types of CCTV come down to how it’s wired. IP systems use modern RJ45 wires (just like the wire you connect your internet to your broadband. This offers lightning-fast data transmission and superior image quality. It also powers the camera at the same time, saving the need for separate bulky wires. The other type of CCTV install is AHD which streams the images from the camera using coaxial cables. These cables allow 1080p (full HD) images thanks to HIKVISIONS Turbo HD technology. This is a new development in coaxial cable and means you can now get clear HD images without spending a lot of money. If you want CCTV with image quality of above 1080p (8MP) then we recommend using IP technology. This will future proof your investment. Please do click on the links within this section to find out more about the two types of CCTV systems we install. Ready to get your CCTV installed? The process is really easy, and friendly. Simply get in touch, or leave you details via the contact us page. We will then provide you with a quote, and give you space and time to think about it. No pushing, no obligation. If you would like to proceed with the install, we will then schedule an install date and time that is convenient for you. 07900970470 for a quote on a new CCTV system.